As I dive in to the space to be open to receive what C2E’s upcoming Vision Quest 2.0 has for us, I’m filled with gratitude to be in a reality where I can share with you what I gather as the MOST important process in my life. I will never claim I know the way, cause I don’t, nobody does, in reality, the closest we can get to absolute truth is death. All I do is share my life with others, the life that has given me the most regenerative power. I am the consummate explorer of my self, and all the bodies that construct it: the physical body, mental body, emotional body, energetic body, spiritual body, and as my 12 year old camp student stated brilliantly last week, the body of experiences we accumulate in this lifetime and as many lifetimes we believe we have. Since I left my corporate job 5 years ago, and dove into my trainer-evolution to become a Body Integration Specialist, my life has become a playground of movement, intuition, and art that doesn’t ever stop showing me the purpose and meaning of EVERY event I experience: including the good, the bad and the ugly. 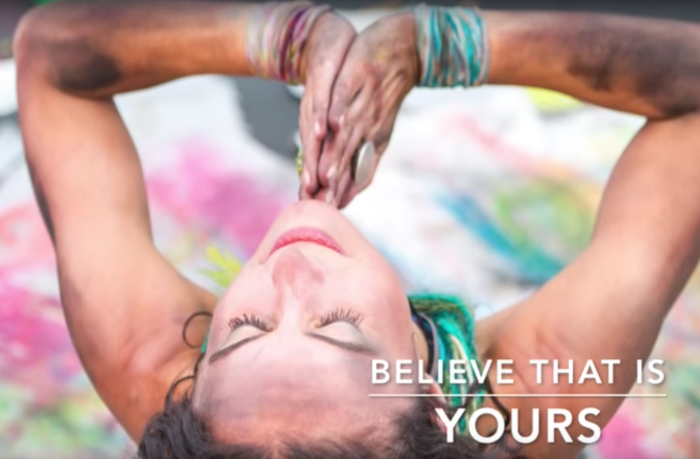 Every program I get inspired to express through C2E is designed to assist you to connect all the dots of the sacred geometry of your complex selves. It’s sacred because the only way to dedicate the time we need to keep ourselves whole (as opposed to broken) is if we regard it with great respect and reverence. It’s geometry because it concerns the properties and relations of points, lines, surfaces, solids, and higher dimensional analogs of our being, which can be extremely complex, but yet, once you know them, extremely simple and profound. When you find your own sacred geometry you tap to the properties of natural intelligence and it’s uncanny ability to self-sooth, self-heal, and self organize. And that’s exactly where we need to be to live life abundantly. How do I integrate all my bodies to become this sacred geometry self? By being your best playmate and setting out to discover with child-like curiosity your own Vision Quest, your personal system of self-discovery, growth and development. It’s a lifestyle of being aware of where you’re at, and letting life speak to you, guide you, show you the way. Life becomes like a treasure hunt of challenges, explorations, and solutions that are inspired by YOU and YOUR connection to your LIFE experience and your sources of strength. I have pushed buttons of people I highly admire and respect in regards to how freely I use certain terms in my C2E Vocabulary. 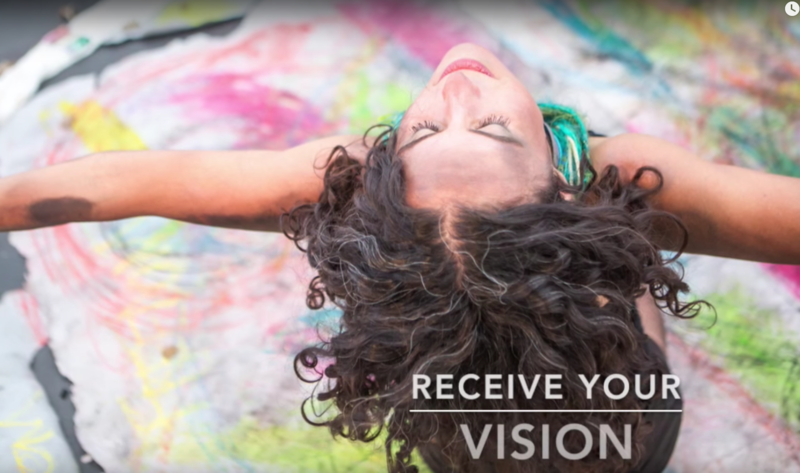 The origin of the term Vision Quest comes from native American tradition and ceremony, and I would like to quote my dear Dr. Janice Kalec, C2E’s Multi-dimensional chiropractor, who is a sage of Native American traditions, among others, in a passage at the end of this article where I have included various resources about the Vision Quest topic. I would like to acknowledge the source of this tradition and request the pardon of any ancestors, ceremonialists, and guides for whom this has caused any confusion. I believe that our habits of transformation shall be contained as sacred and unique for every single person it helps, independently from dogma, conditioning or generational expectations. I have also included a section below to include resources for another coined term Sacred Geometry. 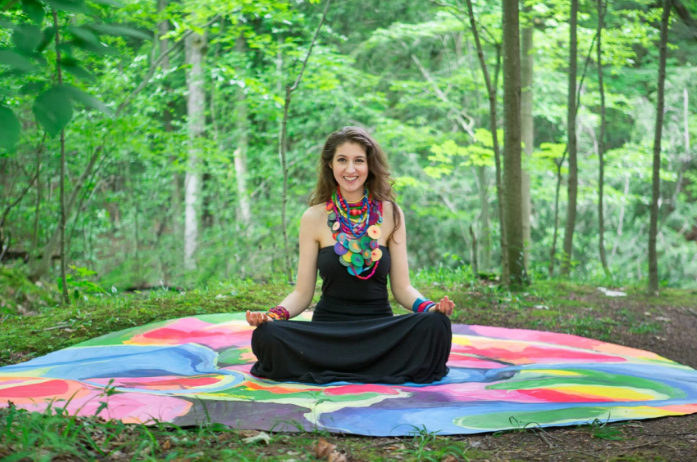 My first Vision Quest was with Soul Art Shaman Laura Hollick, (picture above) whose definition of a Vision Quest is her own as well, through self-expression and art. 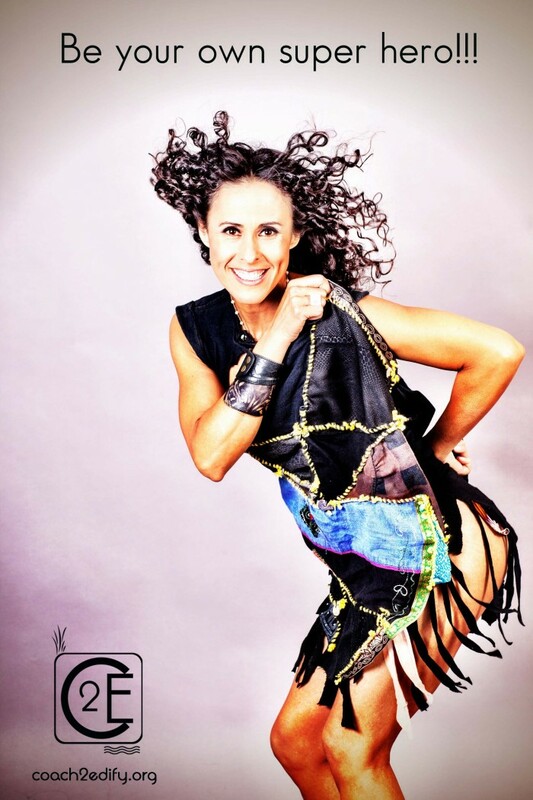 It was through her creative guidance where I began to discover the most authentic version of myself, which allowed me to master my own process through what I connect the most, movement. 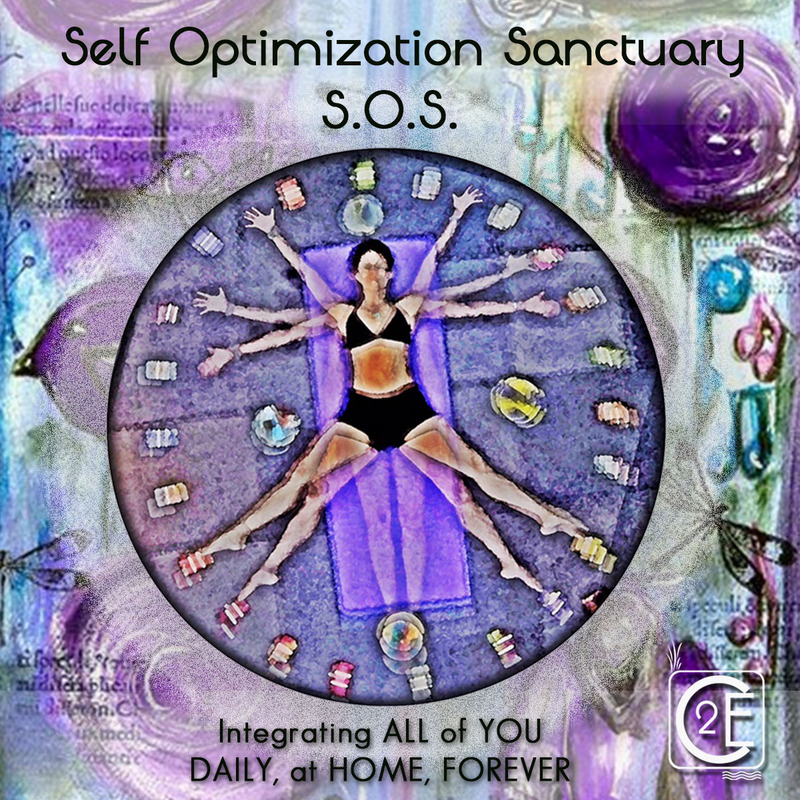 My personal Vision Quests are highly connected to movement, and the work done in my Self Optimization Sanctuary (S.O.S.) which is the space I create to check in with ALL of my bodies DAILY, at HOME, FOREVER. That’s what I assist people in creating for themselves, a sanctuary of all who YOU are, a check in point to RESET, CALIBRATE, RELEASE, BREATH, MOVE, and literally work it all OUT! 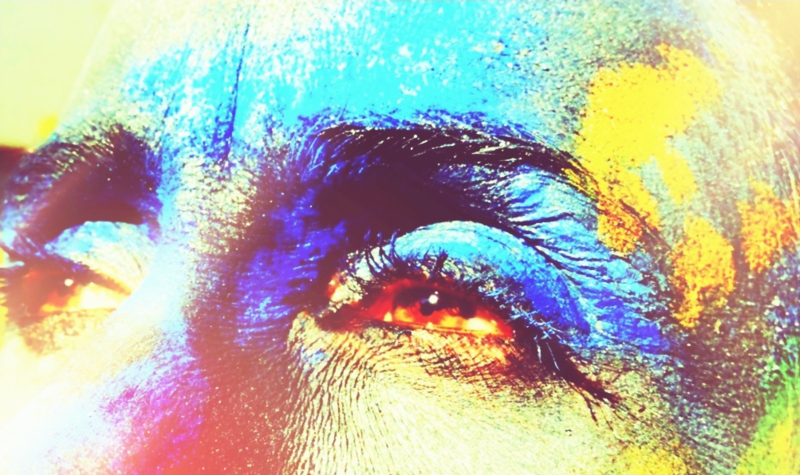 May this article inspire you to create your own definition of a Vision Quest. I’m just holding a container through all I’m drawn to share for you to explore ALL of YOU, and become intimate with who you truly are from all vantage points, lenses, and perspectives. If you feel you need a little guidance in creating your own path of self-discovery, growth, and expansion, dive in to C2E’s collective, virtual, and self-lead Vision Quest 2.0 starting this Sunday, July 31st @ 7pm. I’ve been blessed to hear others say I’m a Manifestor, one who sees a vision, and puff! it happens! To my detriment at times, I run with a vision (and get ahead of myself at times) and bring it to pass. I’m obsessed with keeping my word and if I say it, I feel compelled to have to make it a reality. Outside of the trouble this can bring when you jump into a vision before it’s due time, I must say I recognize this as one of my POWERS. As I see it, manifesting is but one main thing….getting it done! Doing the work, diving courageously into your self, DAILY, AT HOME, FOREVER. That’s how I’ve experienced my Supernatural Production life, feeling miraculously supported from every angle, that never ceases to amaze me with magic left and right. A life on the edge of the known and the unknown, where the only option is to stay in the Zen of your Equator, regardless of the light or dark dancing around you. My intention in sharing a Vision Quest structure and template is to equip you with processes, prompts, and questions that bring you to your SELF, your center, your Equator in the most intimate, direct, and authentic way. When we learn to access this healing channel, a new world of possibilities open up. A place where you can only experience if you step into the unknown. C2E’s Vision Quest 2.0 will start this Sunday, July 31st at 7pm. For more information go the the event page (here) and to register e-mail mayra@coach2edify.org. 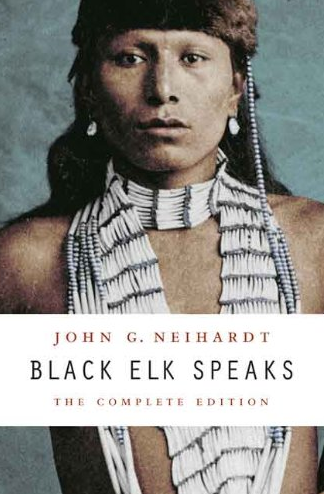 The most accurate description of the Vision Quest that I am aware of is the description in the book: The Sacred Pipe: Black Elk’s Account of the seven Rites of the Oglala Sioux by Joseph Epes Brown. In any case the meaning that I associate with Vision Quest is consistent with the description in this book and with the way it was carried out by the Native elders with whom I studied. In a kind of nutshell – One who is called to Quest traditionally did so with an elder as a mentor. After studying with this mentor for a period of time – perhaps a year or longer – at some point along this path one would be called to become a pipe carrier as the pipe becomes one of the items carried with one on the quest. As the time grows closer to the quest one is usually involved in regular sweat lodges either with one’s mentor or with other elders. The general site of the quest is typically selected by the elder. Either before leaving for the quest – or in some cases one arrives at the site a few days before the quest – the one questing makes 104 prayer ties and 6 prayer flags. What goes on these varies somewhat from elder to elder. The night before the quest there is a sweat lodge after this point the one questing has no more food or water until their return. Very early the next morning there is another sweat lodge before ascending the mountain so that one begins the quest at sunrise. The one questing is usually accompanied by an assistant to the elder – a guide – to a location on the mountain where the questing one sets up their quest circle of prayer ties and flags and other sacred items then they are left alone to be on the mountain with no other person in site for the duration of the quest without food or water. The length of the quest may vary from 24 hours to 4 days. The conditions that most accurately describe the Vision Quest is that it is something one does alone typically on a mountain after having been purified in the lodge and one is fasting without food or water. When one returns still no food or water until after another sweat lodge. After that lodge the elder will often meet with the questing person one on one to hear what happened on the mountain and to help the person interpret the experiences. After that one has food and water. On August last year, my 21 year old son Yalan McCullough and his childhood friend Ben Gottlieb, both passionate artists with a common vision to offer young artists in The Valley a platform to expose their art as well as test the limits of their capacities, launched their first collaborative venture, Easy Living Productions. Easy Living has produced 3 outdoor/garden gallery shows to date, in C2E’s Villa, featuring local young artists paintings, installations, DJing skills and the newly introduced sculptures for this weekends show. I’ve witnessed how they take their lessons from each show and apply them to the next event, becoming more familiar with pre-production timing, installations effect on the property, cover charge process, strike schedule, weather impact, documenting the event, and our favorite…marketing! They have created a Living School for themselves and I have not enough words to say how proud I am of every single artist. I’ve heard feedback about their choice of name for their company, Easy Living Productions: “Oh yeah right! They wish.” or “They’re young!” or “Don’t we all wish!,” but the truth is that this is one of the boldest, most conscious and progressive titles I’ve heard a company have. I’ve seen these young men grow with a fresh vision for their lives, much different than we ever had. They’ve learned from our mistakes and are very clear of what they DON’T want their lives to be like: They refuse to be slaves in any way shape or form, they want to take Liberty and Freedom to a whole new level that none of us have been able to experience yet. They experience adults constant obsession to have more, to spend more, to waste more, to loose more, to stress more, and work more, to pay more bills as total insanity. 1st Show in Easy Living Productions roster, Tones. They battle day and night with a broken record that has told them they’re lazy, that they don’t know better, that they need to wake up and smell the coffee, and honestly, I think is the other way around. They have a vision and a hope for a world that sets them free to live the life they truly desire, and releases the attachment to currency as the only exchange that exists. Yes it might be a lofty dream, but no one can deny that is a GOOD IDEA!! And if we preach that dreams come true, to follow our passions, and never give up, then I say, be my guest at pursuing Heaven On Planet Earth (H.O.P.E. ), after all, we’re all on the same boat! These young men and women are not lazy, they are tired, the weight of the world is literally on their shoulders, but they plow through day by day like champions. Doing college, working jobs to pay their bills as they can, honoring their parents as best as they can within family communities who haven’t mastered the high skill of communication, having to face the fact that they are mostly misunderstood and viewed in some negative light. On top of that when you add the fact that they don’t have enough experience yet to maneuver the chaos of the paradox they live in, to manage dealing with adults that tell them literally to do as they say and not as they do, and to release the rage of not being SEEN, we must acknowledge they are truly super heroes of change, Time Shifters. 2nd Easy Living Production, Lost In Life. I’ve seen these kids at work since our first Camp Work-N-Fun when they were 8-12. When we give them room to express themselves creatively, we empower them to be in charge. When we talk to them as the bright beings they are, they are as industrious as any CEO in corporate America, with the ability to hyperfocus with keen ability. There’s only one catch: they must be interested, and as adults, our endeavor is to hold space for them as they Live their Edication through projects of the heart. They see time as wasted when what is demanding their attention is not something they care about. I know most adults don’t resonate with this concept. I know that true freedom is deemed as unrealistic, irresponsible, selfish, and immature; but I’m here to tell you that in my planet that is far from the truth. I see their care, their struggle, their willingness to be in both paradigms for now, but with a goal to untie the bind to an unfulfilled life. May every step they make to create bring them closer to H.O.P.E.